In most of the organizations, leaders are expected to think creatively and come up with decisions. But encouraging and promoting the creativity of the whole team is likely to lead to an even better selection of creative ideas and solutions to work tasks and problems. This is due to the diverse workforce has a variety of perspectives and knowledge, which is not found in just one person. Today, it is really important to have a creative team that can think out of the box. But sometimes the team members set themselves back; as they are scared to take risks and they might be afraid of the consequences of making mistakes. Risk taking has to be encouraged and should be made a norm in the organization. To develop a creative culture, the management has to become more open-minded and less judgmental towards the suggestions by employees. The management should also understand that rewarding the employees for their creativity would encourage them to think and participate more. The rewards could be monetary such as bonus or non-monetary such as organization-wide recognition. The management could do two things to enhance creative thinking within their employees. First, it could both make different diverse teams and allow them to come up with a creative solution for a problem within a given amount of time. This would allow interaction between the team members that may help them in understanding and think better. Second, they could either allow them to have open discussions or a brainstorming session. When people have such intense discussions, they tend to think more and come up with great solutions. If an organization has employees with a similar mindset, qualification, background etc. then it would create a homogeneous workforce. Homogeneity has benefits such as great teams and like-minded talent, but at the same time, it would leave less room for creative ideas. It is really important to have a diverse workforce! People from different backgrounds and fields would have different thinking process and ideas. It would be great to make them mingle by making them participate in formal or informal settings. Sometimes too serious of a work culture can hinder creativity and the mindset. A stressful work environment would only make an employee look forward to the end of the day. Having some fun at work makes the employees feel fresh and energetic. Studies have proved that positive mood enhances creativity! Positive mood grants us to think flexibly. This makes us open-minded and we become willing to explore more alternatives. Knowing such findings now, incorporating fun into the work through team-bonding activities or retreats every once in awhile can be a crucial element in injecting creativity in the workplace. According to a research, creative people tend to re-conceptualize problems before starting a creative task. Einstein once said, “If I had 60 minutes to solve a problem, I’d spend 55 minutes defining it, and 5 minutes solving it.” Before thinking about the end goal, one should constantly think about the problem, the origin of it and the process through which it could be solved. It has been proven that one should take short breaks between work and start scribbling on a piece of paper. One should start writing or drawing whatever comes to their mind at that moment. Expressing your imagination paper sometimes helps to come up with great ideas or creative solutions to problems. Different people have different preferences. Some like to keep their headphones on during their work hours, while others like to work in silence. It is really important to know what kind of music inspires you. Music creates an aura around you that is joyful, sad or motivated. Knowing your kind of music can help you increase your focus, lift your mood up, and keep you inspired. According to a researcher at Stanford University, it has been proven that one can think more creatively while walking. Steve Jobs loved discussing creative ideas while taking a walk in the Palo Alto area around Apple’s office. One should take quick and short strolls inside the office area to enhance their creativity. Walking improves creative thinking, even while sitting after taking a walk. Plus it helps you stay healthy! 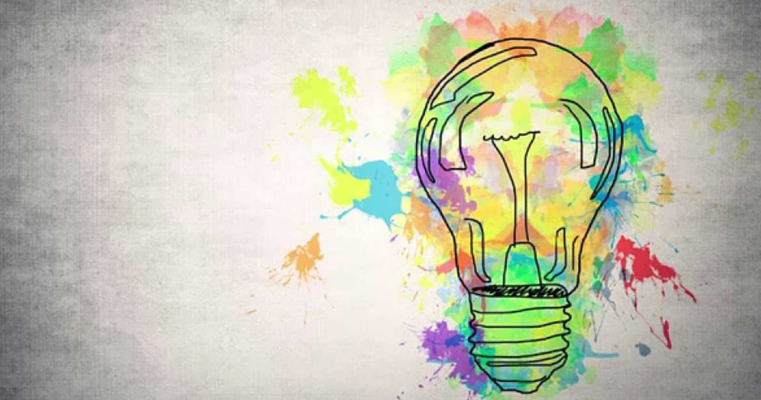 Studies have shown that counterfactual thinking can boost creativity. To experiment this, one should take past real-life events and reimagine different outcomes, alternating between the subtractive mindset (taking elements out of the event) and the additive mindset (adding elements into the event). Researchers from the University of California, Santa Barbara, found an association between daydreaming and creative problem-solving. Data from this research suggest that engaging in simple external tasks that allow the mind to wander may facilitate creative problem-solving. Plus daydreaming could aid in memory and recall. Today, people read a lot of blogs, articles, and write-ups online. It’s really good for gathering information. But one should never forget the benefits that one can gain from reading a book. Reading a book exercises your brain. A 30-minute a day read could make your brain muscles flex. It makes you think, fantasize, use your imagination. It enhances concentration as it provokes to use imaginative thinking and focus on what’s next. At the end of it, reading a book also improves your knowledge. Such effects of reading a book help you to boost your creativity. Studies have shown that exercising helps one to think more creatively. Researchers asked half of the subjects to just watch an exercise video and the other half to perform it after watching. The ones who had performed the exercise had outperformed the others in terms of divergent thinking and they came up with more possible solutions. Studies have proved that different colors have different effects on the human brain. For example, the color red helps in increasing your focus, while the colors blue or green enhance creative thinking. You can try to see those colors in possible ways such as keeping green or blue desktop wallpaper. As there are a lot of ways to boost creativity at workplace today, I would like to know about your understanding of the topic? Feel free to comment on the above-mentioned strategies, and I would like to hear about more innovative strategies that an employer or an employee could use or adapt for better creative thinking.